Janet Blakeley was ordained an ARCWP Deacon November 1, 2014 and a priest March 5, 2016 in Sarasota, FL. Janet desires to free people of oppressive beliefs that prevent them from fully realizing who they are – the Body of Christ. For this she draws on teaching and spiritual direction. Her academic degrees are in Music and Pastoral Counseling. She has done graduate work in Theology and Church Music. 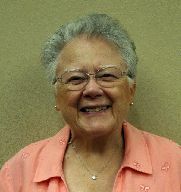 Janet was an Associate Spiritual Director at CRD (Boston). Currently she preaches and facilitates discussions concerning contemporary prophets.